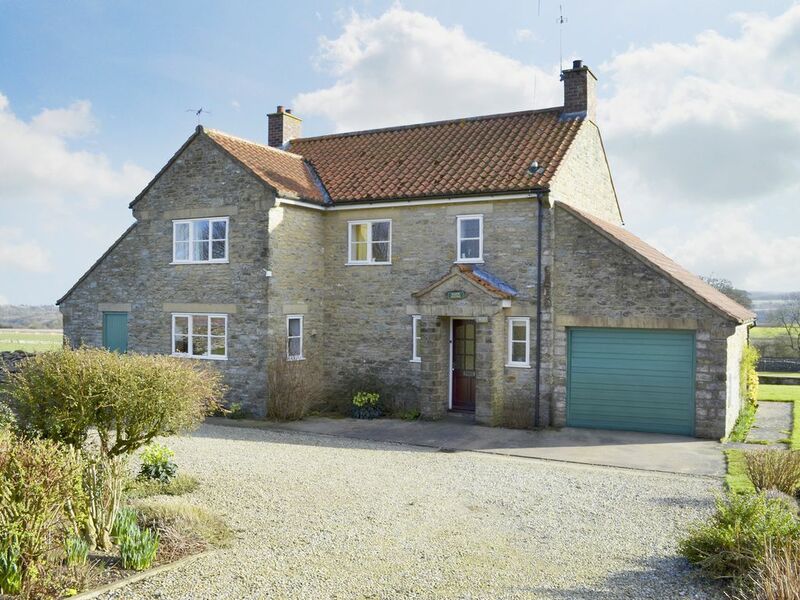 Set within the North York Moors National Park, this detached house is great for walking, cycling and riding. Set within a large private garden with country views, this detached stone house lies at the edge of the village, within the North York Moors National Park. An excellent area for walking, cycling or riding, with a wide network of footpaths. Market town of Helmsley, 4 miles, has a choice of inns, restaurants and shops. Coastal village of Staithes, 25 miles. Whitby, 32 miles with sandy beaches. Places of interest locally include Rievaulx Abbey, Castle Howard, Nunnington Hall. York, 28 miles. Racing at York, Thirsk and Ripon. An ideal holiday base. Inn 3 miles. Shops 4 miles. Living room: With open fire, TV and French door. Dining room: With electric fire. Oil central heating, electricity, bed linen, towels, Wi-Fi and fuel for open fire included. Travel cot. Telephone - incoming calls only. Enclosed garden with garden furniture and barbecue. Garage parking for 1 car; private parking for 4 cars. Smoking permitted.